The extended drought in Southern Africa, along with ever more stringent water restrictions, makes it very difficult to protect one’s, not insignificant, investment in a garden. The solution is to install infrastructure which will save rain water from run-off into the storm-water system, and preserve it for use in the dry periods between rainfalls. The future savings on the cost of municipal water are obvious. 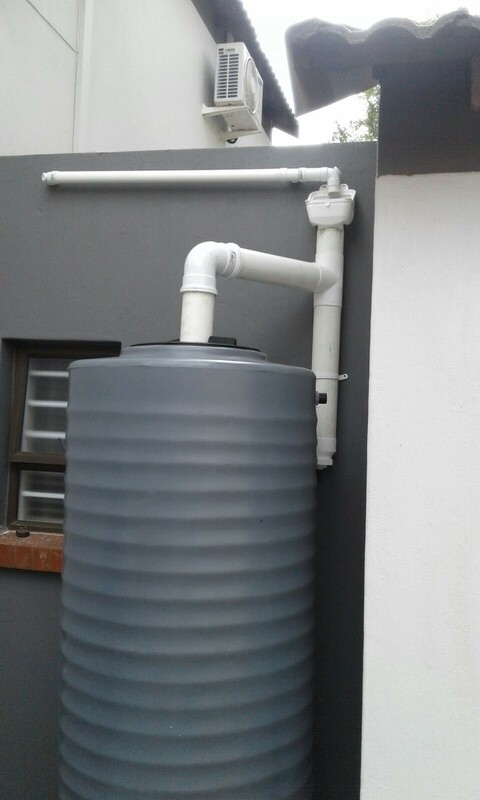 We, at Ballam-Waterslot, have a range of tank sizes to suit every requirement, in a variety of colours to match your decor. Add to this, a leaf catcher that will prevent leaves and seeds, etc. from entering and rotting in the tank, and the very clever dirty water flushing device, which greatly reduces the dust and sand settling at the bottom of the tank. With the addition of a small booster pump, this water can be utilised almost anywhere in the garden. The pressure is sufficient to run a hand-held nozzle or a sprinkler.